Mi Amor is a place to be in love, loved and in love with. 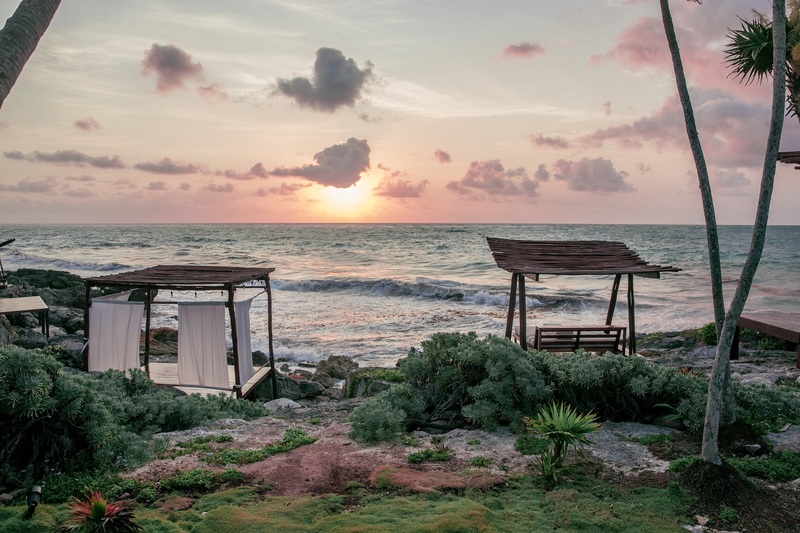 Fall head over heels for this luxury boutique hotel in Tulum and its romantic reputation. 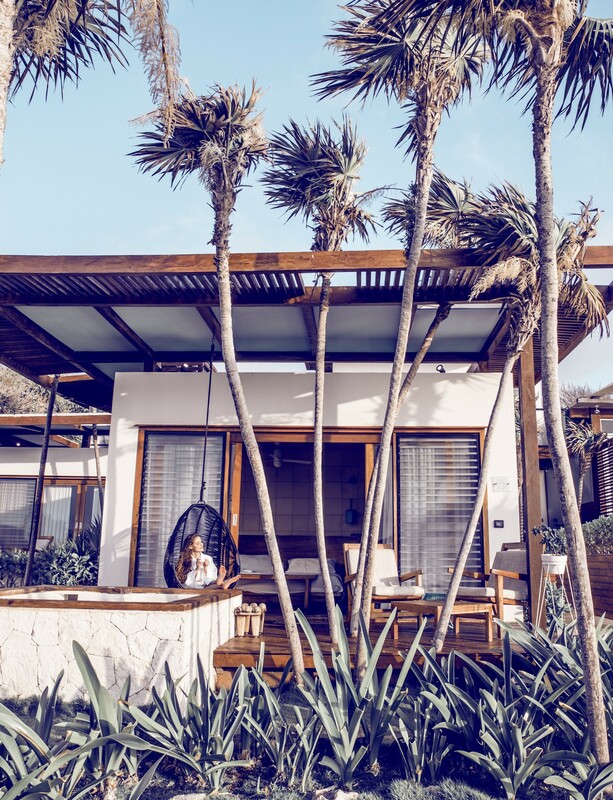 From the moment you check in, the magical Mexican spirit of this boutique hotel in Tulum eases you into vacation mode. Subtle architectural details and vibrant colors welcome you, along with the Caribbean breeze and gently swaying palm trees. There’s an immediate sense of place. 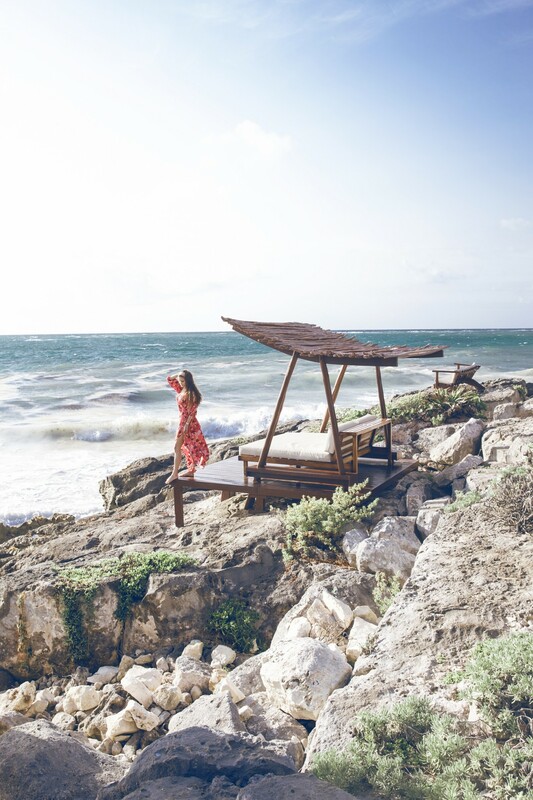 On a cliff above the beautiful raw coastline, a “love chic” hotel by the name of Mi Amor begs to be shared with someone special. This boutique hotel in Tulum has just 18 rooms with the option of a jungle, pool or sea view. They are small, yet modern and feature a king bed, closet, mini bar and bathroom with a rain shower. I stayed in a sea front room on the ground floor with a private plunge pool. The sliding glass doors open to a palm-fringed garden where you can wake up to the sun rising over the ocean. Moreover, the guest cabanas are within arm’s reach and offer a scenic spot to order breakfast or cocktails. While crowds are rarely a worry, the oceanfront cabanas are only available to guests on a first come, first serve basis. All the more reason to book into a sea front room! As you enter the lobby, it’s almost impossible to not let your eyes wander to the infinity pool just ahead. It is at the center of the hotel’s main structure and snakes along the edge of the restaurant and bar. The view of the ocean from here is dream-inducing. And better yet, drinks can be brought straight to you. Additionally, there is small sitting area in between the bar and pool to order cocktails and cozy up as well. Being a boutique hotel, there is only one main restaurant at Mi Amor. It is open for all meals with an a la carte breakfast included in the room rate. With a choice of fresh juices, a starter and a main, I found the breakfast to be very generous with a well-rounded menu. Adding to the peacefulness of the seafront setting, there are cabanas located along the rocky cliff. This is my favorite area of the hotel and where I spent most of my time. The blue hues of the Caribbean sea, the breaking waves and gentle breeze are met by superb service from the restaurant staff. They’ll look after your every whim as you slip into total relaxation. Keep in mind though, there is no actual beach to swim in at this property. Tulum is the trending boho-chic beach destination of the year with plenty of shops, cafes, bars and beaches to discover. Right next door to Mi Amor is a new chill-out beach club called Boa, which hotel guests have free access to. Also nearby is Playa Paraiso beach. In fact, it is just a 5 minute walk from the hotel. Although I recommend renting a bike so you can head further down to explore the Tulum Ruins. The hotel concierge can also assist with organizing excursions, such as a day-trip to Chichen Itza or visiting one of Mexico’s underground cenotes. Being part of the Small Luxury Hotels of the World collection, you can expect a very intimate and quiet stay at Mi Amor Tulum. The property is smaller than I expected, but it is well designed and exudes a playful romance most suitable for a couples getaway. I strongly recommend booking a sea front room to fully appreciate the hotel’s unique cliff side setting and the enchanting hues of the Caribbean sea. In search of boutique hotels around the world? Read about my stay at Casa Chameleon at Las Catalinas, Costa Rica. 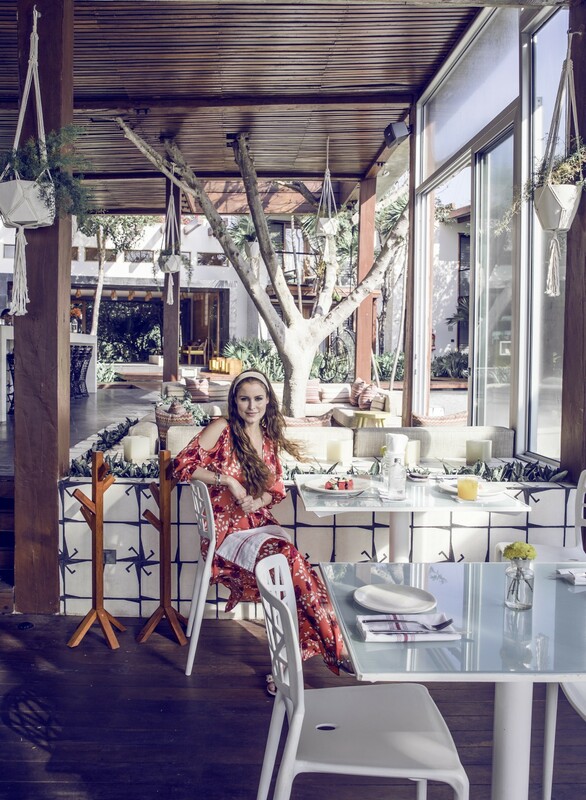 I was hosted as a guest of Mi Amor with Small Luxury Hotels, but the opinions expressed in this article are, as always, my own. Wow, great pictures, and fantastic place! Thanks for sharing! Wow, That looks like such an amazing hotel.